Welcome to the sixth issue of our Scent newsletter, we are excited to share with you all our updates since the last edition. Since our pilots launched in August we have organised five pilot campaigns in the Danube Delta, Romania and Attica, Greece. We are delighted to already share with you some of the results from these first campaigns. Scroll down for details, as well as for information on how you can get involved in our upcoming campaigns. Scent has also launched two major events which you can take part in. The Scent Showcase will take place on 20 and 21 June 2019 in Athens, Greece. 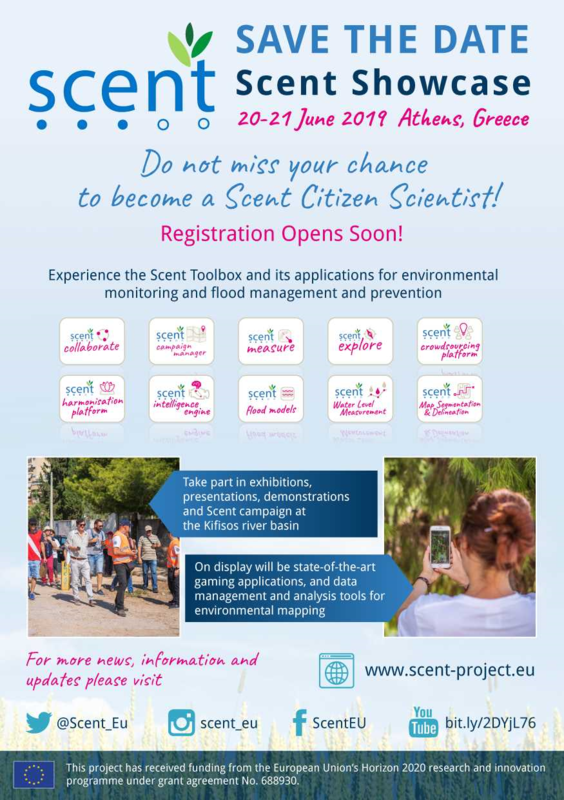 This will be an opportunity for you to experience the Scent Toolbox and to try it on during a field campaign in the Kifisos river basin. 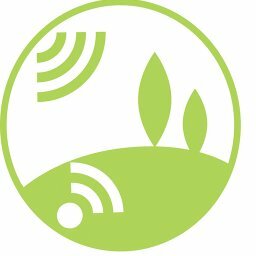 If you are a developer you may be interested in taking part in the Scent Appathon – a fun competition to develop a new app to promote environmental monitoring. We are organising two webinars on 13 and 23 March to answer any questions you may have about the Appathon. You can read more about these events and how to register below. The Scent newsletter delivers regular updates on project progress, key developments, relevant events and ways to get involved, straight to your inbox. Remember to check out our website, follow us on Twitter, Facebook and Instagram, subscribe to our YouTube channel and connect with us on our new LinkedIn page. The piloting of the Scent Toolbox is well and truly underway and we are excited to share with you some of the results from our first campaigns in Attica, Greece and the Danube Delta, Romania. More than 10,000 pieces of valuable environmental data were collected by 261 Scent volunteers during four pilot campaigns in 2018. The volunteer ‘citizen scientists’ were among the first to play the new Scent Explore and Scent Measure gaming apps and used them to collect valuable information concerning river parameters, soil moisture, air temperature and land use/land cover. The citizen scientists were guided around the pilot areas by the Scent team, and used the apps to capture hidden Scent creatures by taking photos or collecting important information when prompted. The data collected is extremely valuable to the Scent scientists as it helps to create more accurate models for the prevention and management of floods. You can check out our new infographic below with statistics from our 2018 campaigns. Scent already held its first campaign of 2019, in Attica in February. 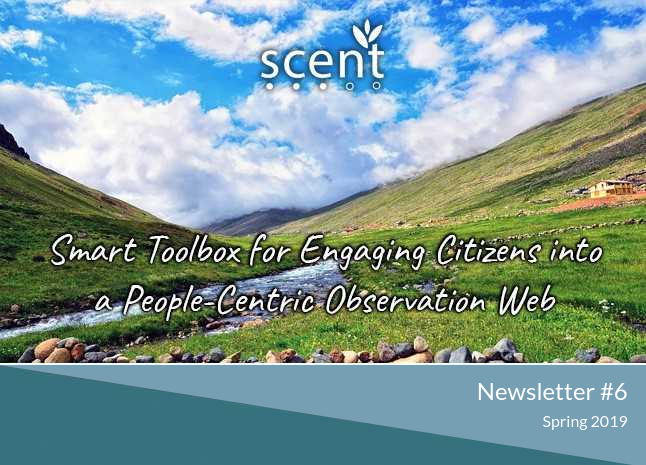 You can keep up to date with our upcoming pilot campaigns for 2019 and learn how to join by visiting scent-project.eu/scent-pilot-campaigns. Save the date for the Scent Showcase! We are proud to announce that the Scent project will be hosting the Scent Showcase on 20 – 21 June 2019, in Athens, Greece. This is your opportunity to experience the Scent Toolbox and the wonderful new applications developed by the project for environmental monitoring and flood management and prevention. During the Scent Showcase, you will be able to take part in exhibitions, presentations and demonstrations. 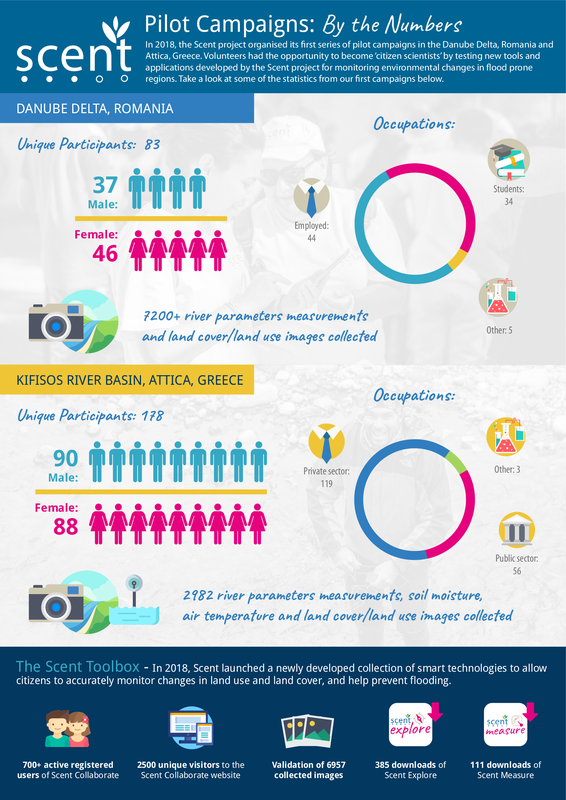 You will also have the chance to put the applications to the test in a field campaign at the Kifisos river basin. On display will be fun, new gaming apps, and state-of-the-art data management and analysis tools for environmental mapping. Registrations will be opening soon. For now save the date, and share our poster with your friends and colleagues. 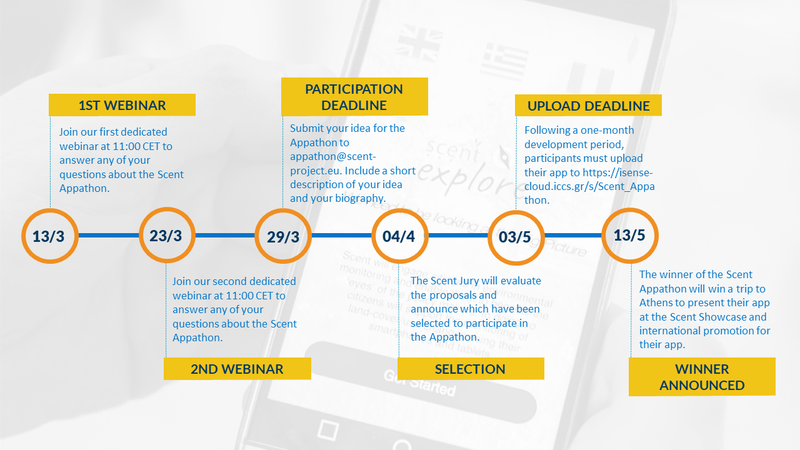 Scent is looking for developers to take part in the newly launched Scent Appathon – a competition to build the best app to train citizen scientists in environmental monitoring. The challenge is to create a new smartphone app that will teach citizens how to better use Scent Explore when taking videos of water velocity. 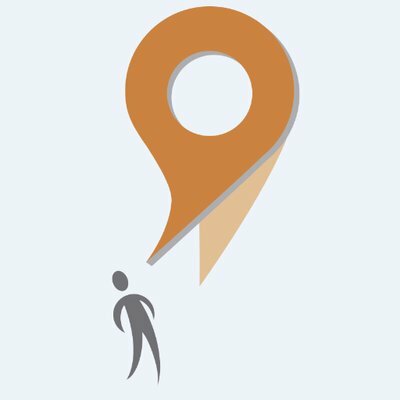 Participants are asked to submit their ideas for an app that will allow users to practice their video technique and provide them with feedback and pointers on how they can improve. The winning app will be included as part of the new Scent Toolbox where it will receive international promotion and be tested during our Romanian and Greek pilot campaigns. In addition, the winner will be invited to present and demo their app at our Scent Showcase in Athens on 20 and 21 June. To participate, all you need to do is send a short description of your idea to appathon@scent-project.eu by 29 March 2019. 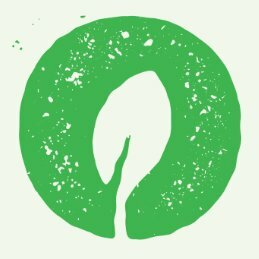 You can find out more information about our Appathon by visiting scent-project.eu/appathon or taking part in one of our upcoming webinars at 11am CET on 13 and 23 March. Have you checked out our new animation about the Scent project? The animation is a short two minute video which introduces the project, its aims and results. 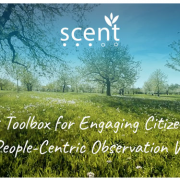 In particular, the animation shows how anybody can become a citizen scientist by joining the Scent movement and helping to collect valuable environmental data using the Scent Toolbox. You can now watch the animation here, and check out versions with Greek subtitles here, and Romanian subtitles here.